It’s been a long, hot summer in Tennessee. We’re hoping the last few months were jam-packed with fun summer activities, getaways, and some Nashville exploring. It’s hard to believe that it’s back to school season already! Sometimes it can be difficult to make the transition back into school mode. We’re here to help, giving you all the back to school info you need for the next few weeks! We know that the quality of the school district a home is in is probably the number one home buying factor for families. Check out School Digger’s Middle Tennessee School Ranking to get an idea of the best schools and districts in the area or USNews.com for the Best High Schools in Tennessee and Niche.com for 2018’s Best Public Middle Schools in Middle Tennessee. Looking to make a last minute move into a better school district before school starts? We have agents on standby ready to assist. Call us at 615-807-0579. With a handful of large universities across our city, Nashville is most definitely what you would call a “college town”. Whether you have a young person attending one of these institutions or not, it’s a good idea to be mindful of start dates. University move-in weekends often overlap resulting in a high number of new visitors in our city. This has the potential to mean more traffic, longer wait times to get a table at your favorite brunch spot, etc. Belmont’s Welcome Week begins Friday and Saturday, August 18 & 19 and lasts through Thursday, August 23rd before classes begin for the semester. See the full schedule for a detailed layout. Looking for houses near the Belmont area? Click HERE. Move-in Day for new students (incoming freshman and transfer students) will be Sunday, August 12 from 9:00 AM – 5:00 PM. This will be followed by Lipscomb’s Advance Orientation, a two-day experience where all students learn more about the University, meet other new students, and sign up for Fall classes. Looking for houses near the Lipscomb area? Click HERE. Move-in day for first year students is Saturday, August 18th, while upperclassmen will begin moving into their residence halls on Sunday, August 19th. For more housing and move in information click HERE. Looking for houses near the Vanderbilt area? Click HERE. If you do have a family member starting back at one of our Nashville universities this fall, you may be thinking about housing for the duration of their time in school. Many families that have kids attending major universities in the area, buy real estate in Middle Tennessee to cut down on the cost of student housing, leasing rooms to their children’s friends and classmates. This can save a family quite a bit of money while allowing them to have an asset in one of the hottest real estate markets in the country! 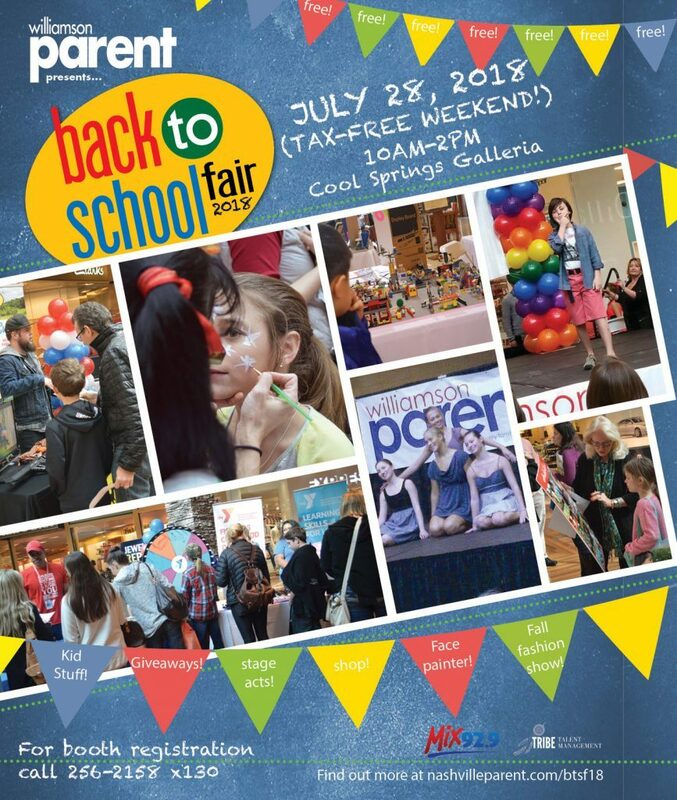 Williamson Parent presents The Back to School Fair, an annual event that combines fun activities, a fashion show, entertainment, and great kid stuff, along with vendor and informational booths to create a day of fun! Festivities will be held at the Cool Springs Galleria from 10:00 AM to 2:00 PM. THIS weekend, Saturday, July 28th! Lucky Ladd Farms in Eagleville, TN. will be hosting a day of water fun to celebrate going back to school. Families can enjoy fun in the sun as they celebrate “Back to School” with a “Splash Bash”. Kids will have the opportunity to cool off on the inflatable water slides, splash pad and bubble blast beginning at 10:00 AM. All the regular fun activities of the farm will be open to enjoy too! What better to get into school mode, than a big school supply shop! Take advantage of tax free weekend this weekend through Sunday, July 29th and do your back to school supply shop with the kids! Gear up for a new year of learning with the Martha O’Bryan Center at the Charm Foundation Back-to-School Bash on August 4th at 10:00 AM. Attendees can expect free backpacks, hygiene kits, school supplies, health check-ups and more. Wednesday, August 8th from 5:00 – 11:00 PM, celebrate back to school with the Rainforest Cafe at Opry Mills! The kids’ buffet features mac n cheese and a full pasta station. Plus, meet Cha! Cha! and other characters, play games and enjoy other activities. 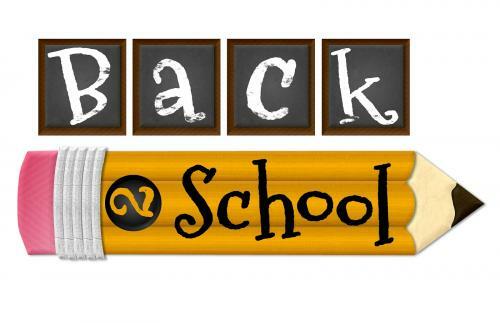 Friday, August 10th from 5:00 – 8:00 PM celebrate going back to school at the Outdoor Adventure Center in Smyrna with an animal show, watermelon eating contest and a chance to win school supplies. On Saturday, August 11th from 4:00 – 7:00 PM head down to MPact Sports in Franklin for some martial arts, gymnastics and tricking exhibitions, an open play area, Nerf Wars and more. 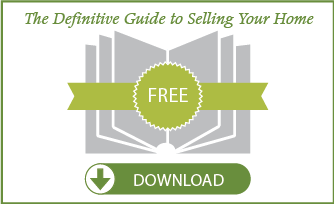 Looking to buy a home in a different school district? Hoping to invest in a property for your university student? We are here to help find the perfect fit for you! Our agents are available to answer any questions and get you started in your home buying process! 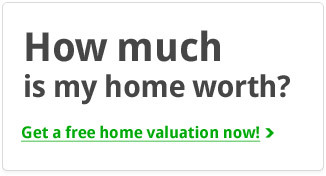 OR if you have a home in the area that you want to know the current value of, check out www.armstronghomevalue.com and don’t hesitate to call us at (615) 807-0579 with questions!